Using a stand mixer (or not, hand mix is also fine) add flour, sugar, baking powder, salt and nutmeg. Mix well. Pour the wet ingredients into the dry ingredients. Mix until wet and dry ingredients are incorporated but don’t overmix. Then gently fold in dark chocolate until combined. Spoon batter into the lined muffin cups and bake for 20-23 minutes or until toothpick/tester inserted into the center comes out clean. This must be what Santa Claus eats to brighten his day. Tastes like the holidays for sure! I don’t drink by itself but it’s fantastic in baked goods and lattes! 🙂 Thanks for popping over. Great combination of flavors – like an eclair in muffin. I’ve heard of eggnog but have never tried it. Not even sure if it’s for sale here. I bet these would taste great with Bailey’s, too. Ooooooh, what a brilliant idea –it would be fabulous with Baileys! Like you with eggnog I can’t drink Bailey’s (even over ice) on its own. In a cupcake…just maybe! These are incredible! Love the dark chocolate and eggnog mixture! 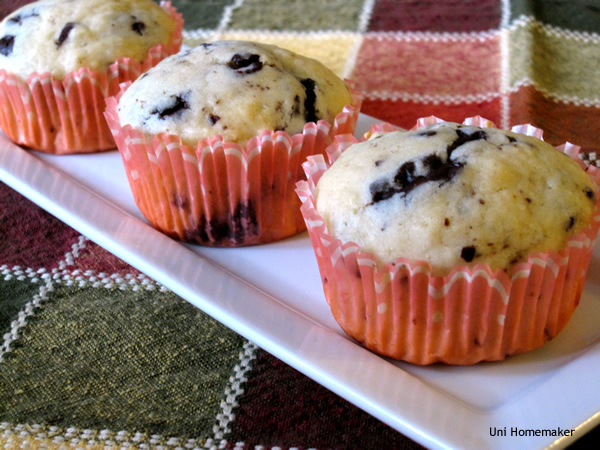 Hi Anne, I love these muffins, so festive for the holidays. I will have to give them a try. Oh my stars. Decadent! I bet they were gone in a flash. Thanks! 🙂 They vanished quickly! They look delicious. I make cookies using eggnog (but no chocolate). Maybe I’ll post the recipe. Not entirely sure about the eggnog, but if there’s dark chocolate involved too I might be tempted to try these! They do look amazingly good! If you put these muffins in front of my face, they would be gone before you know it. These sound absolutely perfect for the holidays! Gosh Anne you do have a lovely blog and I have bookmarked so many of your recipes to try. I really want to try these eggnog muffins for Christmas but I can’t buy eggnog here in South Africa so a little creative adaptation might be required! Hi Anne. 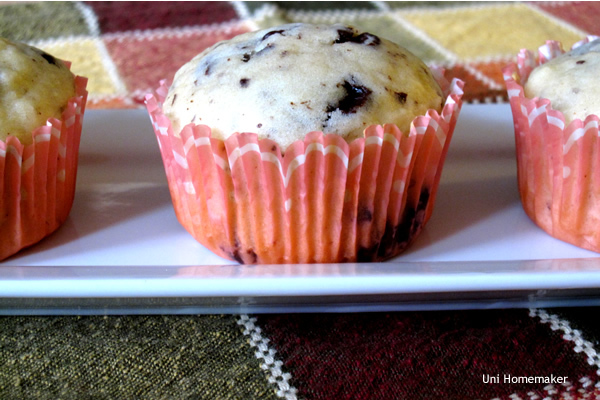 I did make these muffins in the end and they turned out beautifully. I substituted the eggnog with a mixture of milk and cream, with some rum and ground cloves for extra flavour. I also made a glaze with some Advocaat and icing sugar. I blogged about it here http://underthebluegumtree.com/2012/12/05/eggnog-and-dark-chocolate-muffins/ with links to your site. I hope that’s OK? Thanks for sharing this great recipe. Hi Claire, thank you so much for the link back! I love what you did with the substitution. The photos are gorgeous and I think I’ll have to try your version. 😉 I’m glad you enjoyed the recipe! You know, I’ve never tried eggnog. Over where I live, they are not available. How does it taste like? Hrm… it tastes like eggy heavy cream with a bit of sweetness. My husband drinks it with a little brandy in it. I personally can’t drink it alone because it’s so rich and thick but I love it in baked goods and in lattes during the holidays. Sounds like something I might like! I just made french toast this morning. I’m going to hazard a guess that eggnog would have made it better! 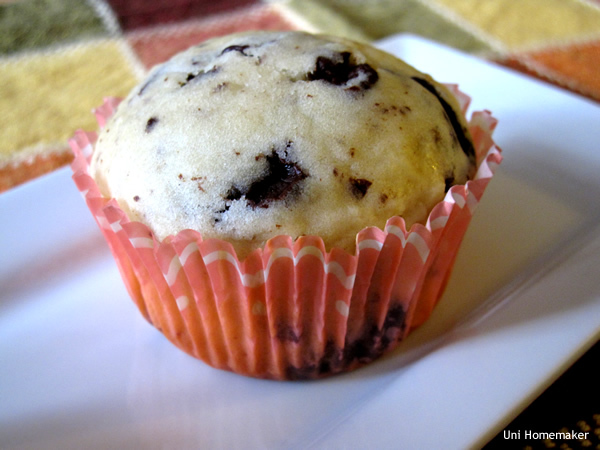 I am a huge muffin fan, they are so easy to grab for breakfast or when you’re on the go. I would probably have to grab two of these – lol! Thanks! 🙂 I am a huge muffin fan too! They’re such an easy grab and go breakfast –gotta love that.